Welcome to Super Genius Comics! For eons, mankind has pondered the mysteries of Super Genius, a global force motivating awesomeness behind the scenes. Super Genius is many things to many people around the world: a rallying cry, a shot across the bow, a flutter of a butterfly’s wings. In short, Super Genius makes life-changing comicbook. Super Genius is a larger-than-life pop art phenomenon bringing you blockbuster sequential art the way it used to be done; for everyone. You’ve been waiting for Super Genius all your life and it’s finally arrived. Join us today! Is it a comics company founded by Wile E. Coyote? Not exactly. 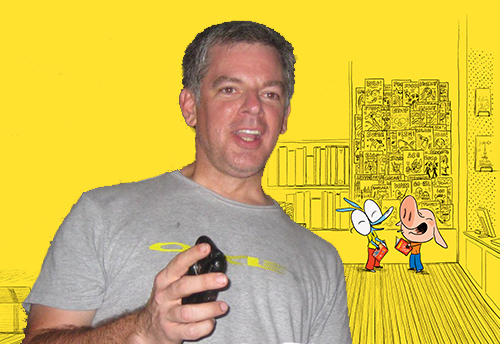 Super Genius is the teen+ imprint of Papercutz, the #1 Kids’ Graphic Novel publisher. We love comics of all sorts and we wanted to create a brand aimed at older readers and adults. Something that would complement our strong kids’ presence while still offering the variety and diversity that has made Papercutz so successful. At Super Genius we publish everything from the “sports entertainment” of the WWE to the hard-hitting action of LADY JUSTICE and the otherworldly sci-fi adventure of TEKNOPHAGE. And we’re just getting started! There’s really only one criteria for our titles … all our comics have to be works of genius! Click on the button below to see our full listing of titles! We’re distributed to the book stores and libraries by Macmillan. You can also order our books from wholesalers like Ingram, Baker & Taylor and Brodart. 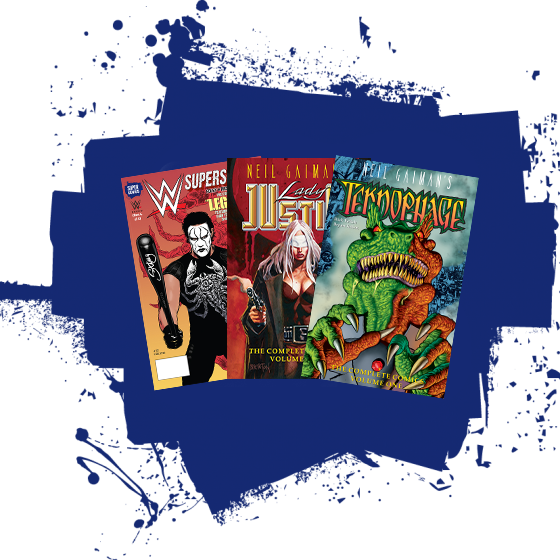 Comic book retailers can order our books through Diamond Comic Book Distributors or from our sales rep, Tony Shenton. Many of our titles are available as ebooks as well. You can find them on all the major online retailers and platforms including Comixology, Kindle, iBooks, Nook and Kobo. You can always find our in print titles in the Papercutz store. If you’re interested in a special order, get in touch with us via the contact form on the site. Meet the Super Genius Team! Inspired by the success of the graphic novel format in France, where one book in every five sold is a graphic novel, CEO and Publisher Terry Nantier decided to import this concept to the U.S. in the 1970s through the founding of NBM, at a time when comics for adults were a rarity. Becoming a leading indie comics press and one of the most highly respected houses in what has become known as “literary comics,” NBM has grown steadily ever since. 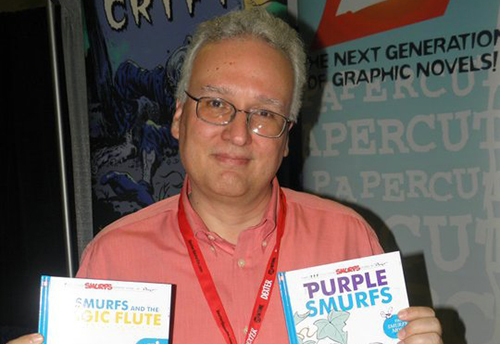 In 2005, Terry recognized that the tides had turned and children’s comics had become a rarity; he founded Papercutz to meet this need. Editor-In-Chief Jim Salicrup started his career as a teen at Marvel Comics under apprenticeship with Stan Lee, eventually becoming editor of their flagship Spider-Man line where he relaunched the character in a bold new look that proved extremely popular, selling over two million copies. Hired away by Topps, he founded their comic book line by acquiring top licenses like The X-Files, Xena: Warrior Princess, and Hercules: The Legendary Journeys. While at Marvel, Jim was instrumental in creating Spidey Super Stories, the first comic specifically designed for beginning readers. He brings this devotion to popular storytelling and early literacy to the entire Papercutz line. Vice President of Marketing Sven Larsen brings over 20 years of marketing experience to the Papercutz team. 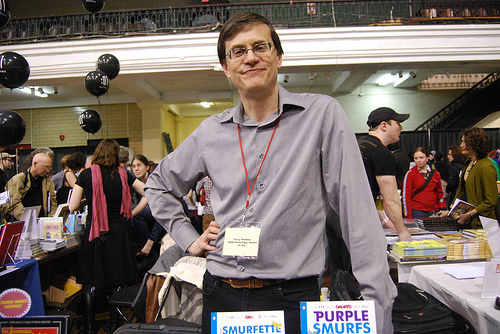 Sven began his publishing career with Marvel Comics, where he founded the company’s marketing department and worked on numerous successful campaigns (including the multi-million selling X-MEN #1 launch). Sven has also held executive positions at Time-Warner and Penguin Books and served as COO/Publisher for Teshkeel Media, producers of THE 99. Most recently, Larsen served as CMO for digital advertising agency Zemoga, where he worked with clients like A & E Television, HBO, Rodale and Nickelodeon. Production Coordinator Jeff Whitman is a big kid at heart. He studied in Argentina, Colombia, and Brazil before graduating at Northeastern University, in Boston, MA. Jeff speaks Portuguese and Spanish fluently and is working on French and German next. He loves reading comics from all over the globe. 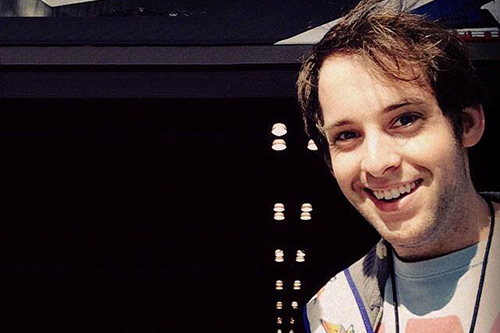 He has written for several comic blogs and enjoys creative writing. 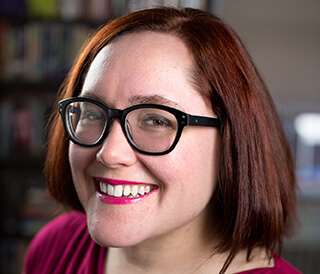 Bethany Bryan comes from a background in children’s books, starting her career at Scholastic, working on books for babies and toddlers, and then moving over to library nonfiction publishing for a teen market. She’s a writer, frequently published online, and co-edits Gamervescent, a gaming blog geared toward women. Most recently, she helped promote diversity in children’s book publishing as the social media manager for the Ezra Jack Keats Foundation.